Quest: A Spiritual Journey is a 19-month innovative and transformative adult faith development program. 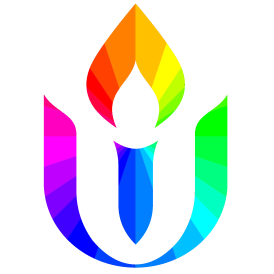 To undertake the Quest journey is to take part in a challenging, uplifting, and rich Unitarian Universalist spiritual experience. While written in the context of UU faith development, the Quest Program serves all who seek to grow spiritually. If you desire to live your life in a way that reflects your faith and values, and if you want to expand your understanding and experience of spirituality, Quest is for you! Like all things that encourage deep personal growth, it is a commitment, a commitment that will be worthwhile and transformative. The program was developed by a group of dedicated members of First Unitarian Society in Madison, Wisconsin to address the sense of longing for a deeper level of engagement with their own spiritual journey within the context of the Unitarian Universalist faith. Quest was originally brought to Boise UU by Jackie Groves and the program is now on its third iteration. Cultivate a greater ability to be consistently more aware, accepting, compassionate, forgiving, and peaceful with oneself and others by committing to and engaging in individual spiritual practice and other shared experience. Seek and accept support in the commitment to a spiritual journey through: a positive and nurturing relationship with a spiritual companion, on-going participation in an integration group, and in spiritual practice groups. Acknowledge ambiguity and discomfort when they arise and seek support to engage in a process if discernment. Engage with presented content and readings. Learn with curiosity and wonder. Understand the developmental process of building intentional community. Take collective responsibility for creating sacred space. Acknowledge that trust and shared experience develop over time. Attend and be fully present at retreats, integration groups, program-related classes, potlucks, and other Quest-based opportunities. Integrate insights and discoveries in interactions of day-to-day life. Commit to engaging with people, communities, and the natural world mindfully and with an increasing awareness of the complex interdependent nature of existence. Offer the sacredness of ourselves to help nourish the life of the world. Welcome the challenge of an on-going spiritual journey. Commit to and engage in an ongoing spiritual practice. As in all of life, these intentions are overlapping, intertwined, and interdependent. Quest III is lead by Sarah Bratley, Rev. Sara LaWall, Patricia Heeb, Ahley Newman, and other group leaders. Quest is made up of 4 main parts: Retreats, Classes, Spiritual Companions, and Integration Groups. All retreats are lead by Rev. Sara LaWall, Sarah Bratley (Program Director), Ahley Newman, Patricia Heeb, and Jay Wechselberger and are held at the Monastery of the Ascension located at 541 E. 100 South, Jerome, ID 83338. Following a general orientation, Quest participants attend two classes designed to create a solid and meaningful bridge between the on-going development of the UU faith tradition and the individual journeys and spiritual community experiences of all participants and facilitators. Each Quest participant will be partnered with a Spiritual Companion, a person considered by the Quest leadership to have specific skills, wisdom, and maturity, particularly highly developed interpersonal skills and a willingness to spend the time necessary to provide support to someone else. Participants will schedule monthly meetings with their Spiritual Companion starting September 2019, at their mutual convenience. Quest participants will be organized into two small groups which will meet in the months that do not have retreats, beginning in October 2019, on Saturday afternoons. Meetings will begin with a large group potluck before separating into the two Integration Groups which will be facilitated by Patricia Heeb and Ahley Newman. Since membership in each group will be stable throughout Quest, relationships among members have the opportunity to grow, offer supportive “holding” for, and bear witness to each other’s individual journeys. Careful attention has been given to the design of the integration groups with an invitation to move from the outside “busy” world into a slower- paced, contemplative one, allowing the mind to quiet and the heart to open. Quest requires deep commitment of time and intent; applicants must be willing to make that commitment as demonstrated by participation in the life of the congregation. The questions on the application are designed to help leaders get to know your background and experience, and to learn about your expectations for the program. A commitment to attend all retreats, classes, and Integration group meetings is essential. The deadline for application submission is Wednesday, May 1, 2019. Sixteen applicants will be accepted in to the program. Tuition will be payable in six installments of $250 each beginning August 3, 2019, with the remaining payments due at each of the retreats. Limited scholarships are available.